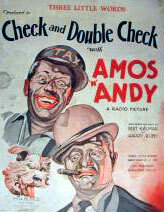 After 4,091 episodes as a fifteen-minute, daily comedy-drama, Amos 'n' Andy returned to the airwaves as a weekly, 30-minute sitcom on Friday, October 8, 1943, sponsored by Rinso. What the 1943 version of the show had going for it was a thrilling opening that made you think big-time entertainment was on its way. And, comparatively, it was. Correll and Gosden considered casting black actors in the lead roles for the new format, and recorded several auditions that were never broadcast before ultimately deciding to return to the roles they made famous, supported by an expanded African-American cast. Joining regulars Ernestine Wade and Elinor Harriot during the 1943-44 season were Ruby Dandridge, Ernest Whitman, Lillian Randolph, James Baskett, and Jester Hairston. Over the years Black actors Amanda Randolph (Lillian's sister), Roy Glenn, Johnny Lee (as lawyer Algonquin J. Calhoun), Milly Bruce, Amos Reese and others joined the cast. White voice artists like Jean Van Der Pyle (Wilma Flintstone) and Mel Blanc (who voiced hundreds of cartoon characters) could be heard in later years. Special guest stars were brought on including Ginger Rogers, Edward G. Robinson, Walter Huston, Peter Lorre, Lionel Barrymore and other major celebrities. The guest angle was dropped in February, 1944, but not before legendary actress/ blues singer Ethel Waters did a guest turn playing herself as a glamorous star. Script writers were brought on board for the first time and the show was performed before a live audience. 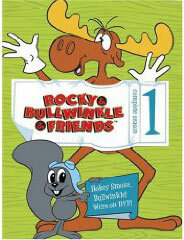 From the start, ratings nearly doubled for the new half-hour series; garnering an respectable 17.1 for the 1943-44 season. Kingfish: "Uh, what can I do for you, Miss? Lady: "My name is Juliet Williams"
Kingfish: Yeah, never heared of you. What'cha want? Lady: "Never heard of me? Why, I spoke to you this morning on the phone." Kingfish: "You got me mixed up with somebody else. Uh, sorry, but uh, I gone have to ask you to get out now, cause I got a lot of reportant things on ma mind." Lady: "Well, don't you remember? I told you over the phone I was going to the bank to get the money for you? Kingfish: "Look, I ain't got time fo - uh - sit down, madam, sit down. Lady: "Well, uh, I hope I ain't got the wrong address. Is this West 135th street or is this East 135th street?" Kingfish: "Well, uh, uh, uh, which, uh, which one was it you wanted? Lady: "Well, I wanted West 135th street." Kingfish: "Dis is west, the sun sets right out dat window dere, evaday, yeah." Lady: "Oh, well then, I'm in the right place." Lady: "Well, uh, I guess you just so busy these days that you forgot about my call." Kingfish: "Tha's right, the war goin' on, my head jammed up, and all that..."
Lady: " Well, now about the fee I'm to pay you. Do you remember, did you say it would be five dollars or ten dollars? Kingfish: "Ten dollars, I didn't forget dat. Ten dollars. Lady: "Now about the balance of the money I'm gonna have to pay you. What would you say the whole thing'd sum up to? Kingfish: "Well, uh - ha ha ha. It won't be too high, and of course, it won't be too low, sorta in dat neighborhood, someplace. Lady: "Well, uh, I'm thinking it'd be fifty dollars." Kingfish: "You hit the right neighborhood, tha's right." Lady: "That would leave a forty dollar balance. Now, when do I have to pay you this?" Kingfish: "Well, right now would be good." Lady: "Well, I'm certainly not going to pay you the balance until you show me some results. Now, just exactly what is this fifty dollars gonna include?" 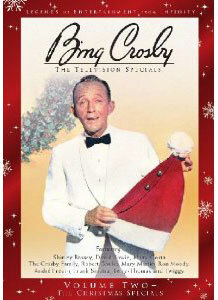 Kingfish: "Well, (clears throat) uh, uh, tell me what you think that it outa include. I want to be fair about the thing, you know." Lady: "Well my cousin came to one of these matrimonial agencies once..."
Kingfish: "Oh, oh, matrimonial agency, huh? Oh, she did, yeah." Lady: "My cousin said the ten dollar deposit covered the introduction to the man and she paid the balance of the forty dollars after the wedding." Kingfish: "Wedding. Uh, You want to get married don't cha?" Kingfish: "In other words, uh, if I finds you a husband, I gets the other forty dollars?" Lady: "That's right. Now tell me, do you have any legible bachelors in mind that's my type?" Kingfish: "Um, uh, let me think here a second. I wanna kinda go over the list I got in mind, here. You wants a single man, don't cha?" Lady: "I wants a man a little older than myself, that will make a good husband." Kingfish: "A good husband, uh. Madam, I think I got just de man for ya." Kingfish: "His name is, uh, uh, Andrew Hogg Brown." Lady: "Is he the marrying type?" Kingfish: "Well, uh, he been kinda null and voidin' the idea, kinda skirtin' around the edge a little. But don't worry, the Steven's Matrimonial Bureau has always got ways of outskirtin' them fellas. We'll be able to swing him around all right, so don't worry. Lady, we always lands our man." 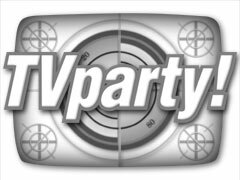 TVparty-er Gary Williams tells us, "I am an African-American (35 years old) and a big fan of Amos 'n' Andy, especially the radio series. 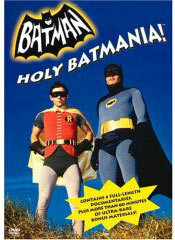 The TV series was also funny. 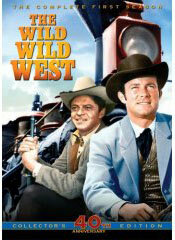 "When Gosden and Correll started the program in 1928, they based the show on people they knew. Both men were from the South and they were surrounded by black people. "If you take an unbiased look at the characters, the majority of them held respectable jobs and owned their own businesses. The only exceptions were Andy and the Kingfish. 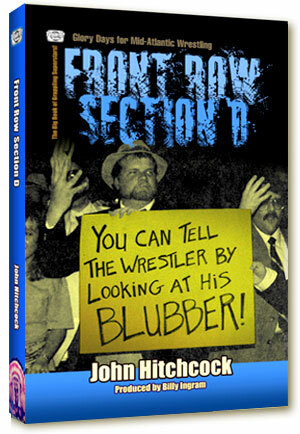 Even Lightnin', as dense as he was, was a janitor and there is nothing wrong with that. 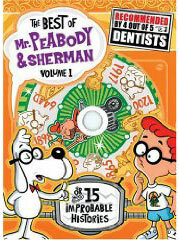 But you had lawyer Calhoun, Shorty the barber, and of course Amos, owner of the Fresh Air Taxicab Company. 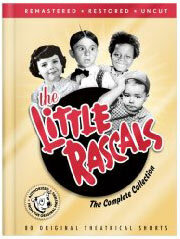 "A lot of the shows today, and even in the '70's, made a big deal about people's color. 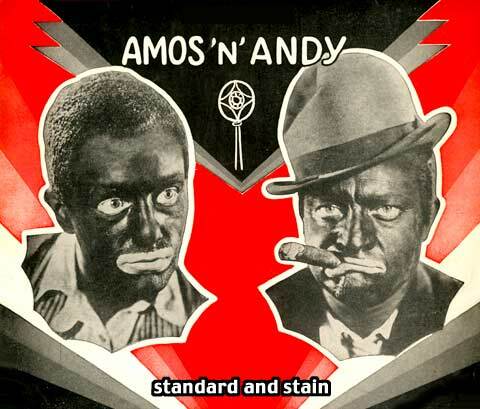 If you take a look at the Amos 'n' Andy scripts from both radio and television, there are not too many instances where the characters mention they are black, nor do they complain that the 'white man has everything and we don't because we're black.' These were average people, who just happened to be black. "I once attended a class on cultural diversity where I brought in a copy of an Amos 'n' Andy radio series and a Lum and Abner radio show (Lum and Abner were two backwoods hillbilly characters created by Chester Lauck and Norris Goff around the same time as Amos 'n' Andy.) I played them both, and although both shows have stereotypes that can be considered negative, no one wanted to talk about Lum and Abner, they just wanted to talk about Amos 'n' Andy. "The plots of Amos 'n' Andy could fit into many other situation comedies - in fact, I read where a number of Amos 'n' Andy scripts were reused and turned up in... Leave It To Beaver! 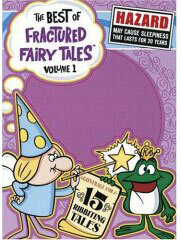 This was because Joe Connelly and Bob Mosher wrote both shows." In 1946, Amos 'n' Andy joined NBC's 'Must Hear' Tuesday night lineup of Fibber McGee and Molly, Bob Hope and Red Skelton and ratings soared. Bright musical numbers performed by a full orchestra punctuated the scripts, with tunes vocalized by The Jubilaires, and, alternately in 1947, the Delta Rhythm Boys. Numbers by the Rhythm Boys included swinging versions of popular songs like Route 66, a comical tune about Lightnin,' and a salute to the controversial Disney film Song of the South. The Jubilaires were more spiritual in nature, performing songs like Joshua Fit The Battle of Jerico and an ode to the Emancipation Proclamation that contained the lyrics, "You can take a boat or you can take a train. That's how it's always been and how it will remain. As long as all of us keep ridin', keep ridin', keep ridin' on the freedom train." Often the musical numbers came too close to the lingering image of 'happy darkies singing by the riverside.' But then the network wasn't particularly worried about offending anyone - advertisers weren't anxious to reach a black audience. Only about one in fifteen African-American homes had a radio in 1946. Outside of the larger cities, there was no measurable economic pull in the black community. 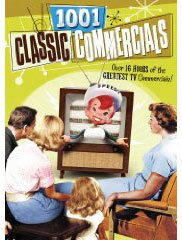 Ratings continued to rise over the decade, reaching a 23 share by 1948. Amos 'n' Andy changed nights - and network - on October 10, 1948 when Correll and Gosden sold all rights to the series to CBS for something close to $2.5 million. The Paley raid, as it was known (William Paley was the head of CBS), netted CBS some of NBC's biggest stars, including Jack Benny and Red Skelton. Amos 'n' Andy was now being heard on Sunday nights at 7:30pm, still sponsored by Rinso, "with Solium, the sunlight ingredient." 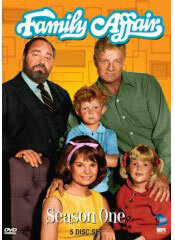 CBS reasoned this show might prove a winner for their fledgeling TV network. 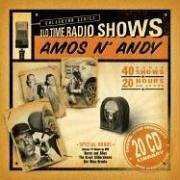 As a major component of the CBS family, Amos 'n' Andy was instrumental in selling CBS brand TVs and radio receivers in the early-fifties. Riding a wave of renewed popularity, it was time to expand the franchise. 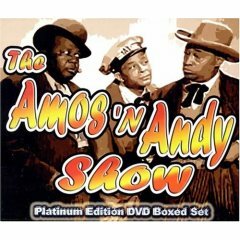 What Happened to the Amos 'n' Andy Cast?